Extend the omni-channel customer experience to the showroom floor with TrueCommerce Engage. With this powerful application you can take orders, view and update customer information, and view customer purchase habits all from an iPad. Click here to learn more about TrueCommerce Engage and to Download from iTunes. From Heath, Kifaru International of Wheat Ridge, Colorado on 11/6/2015 . We've been using the Engage app for several weeks now, and we love it. It makes taking orders in our store super easy. The product, customer, tax and shipping data is all there with no extra set up, and orders flow right into Nexternal so all of our order information is now in a single database. It's so easy to use that we didn't need any training - we just downloaded and started using it immediately! From Maelstrom Kiewiet, Winding Road Racing of Austin, Texas on 11/2/2015 . For almost two years we have been using Nexternal's eCommerce Platform to power our online store as well as manage our Amazon orders. 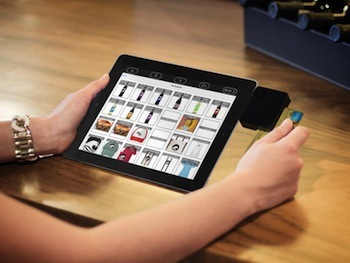 In the last couple of months we were selected to be a beta customer for TrueCommerce Engage - their new iPad Point of Sale Application. This app has worked quite well for us at trackside events across the country to capture in-person orders. We can manage product and order data in one place and generate reports on that data in seconds. Furthermore, the interface is so intuitive it requires minimal training. From my perspective, TrueCommerce Engage completes the omni-channel commerce puzzle for Nexternal. Well done!